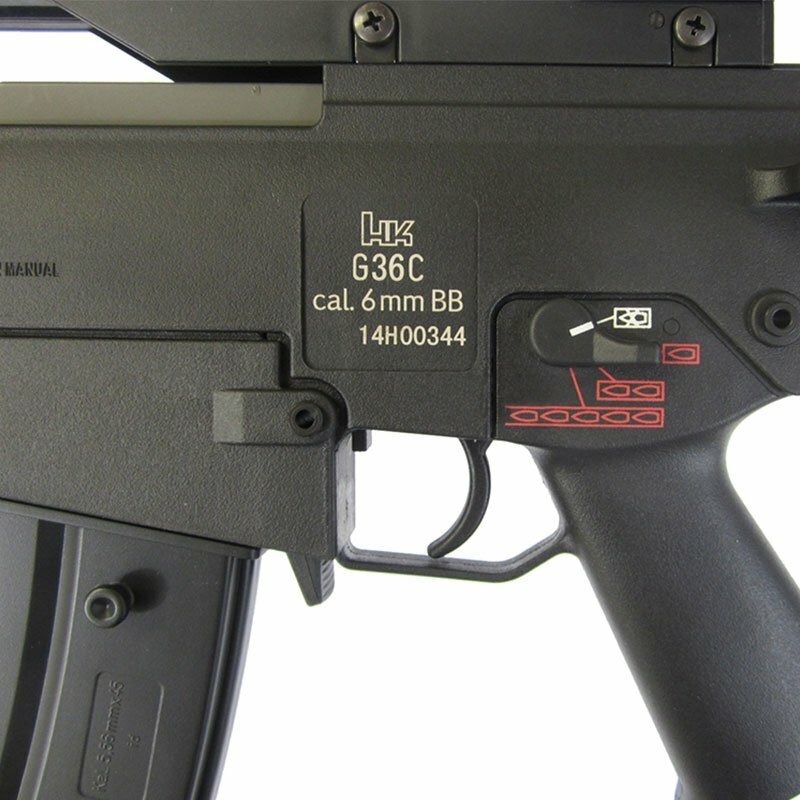 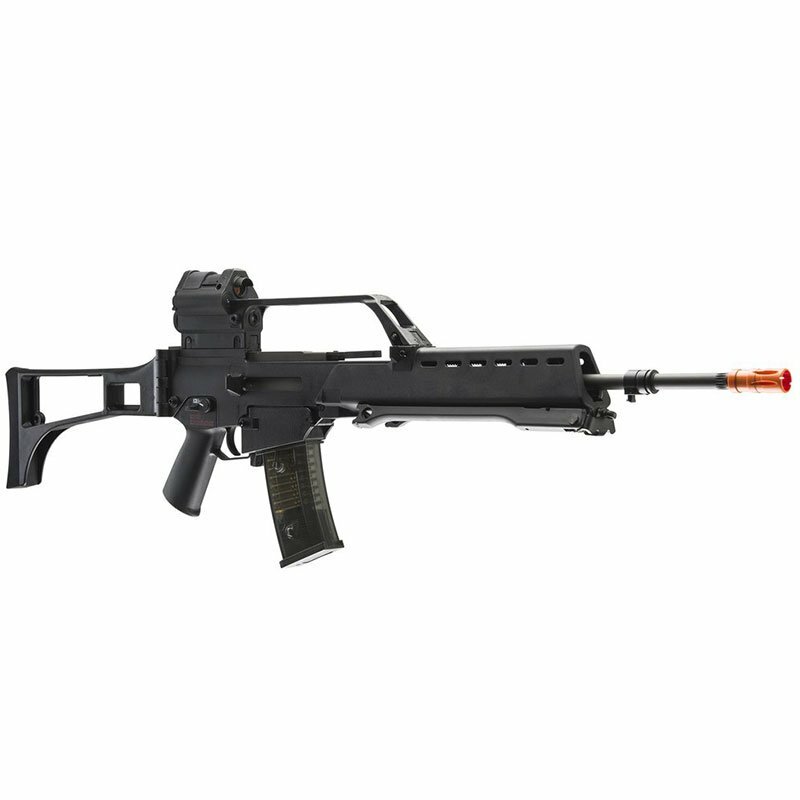 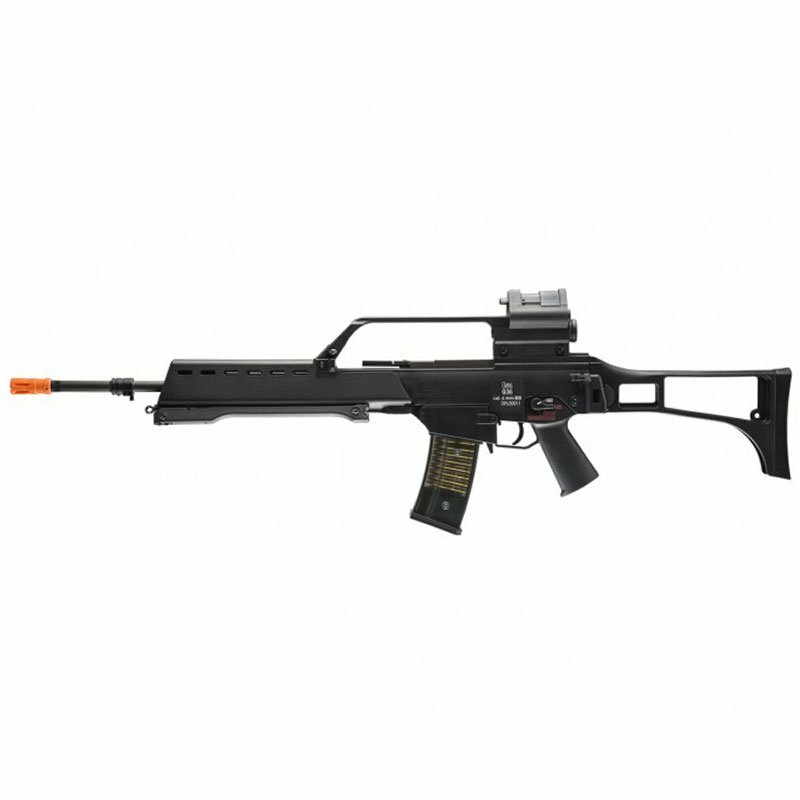 The H&K G36C w/Mosfet AEG Airsoft Gun is a full-size replica of the popular Heckler & Koch firearm, used by government law enforcement agencies all over the world. Made with durable polymer materials that can withstand punishment on the battlefield. 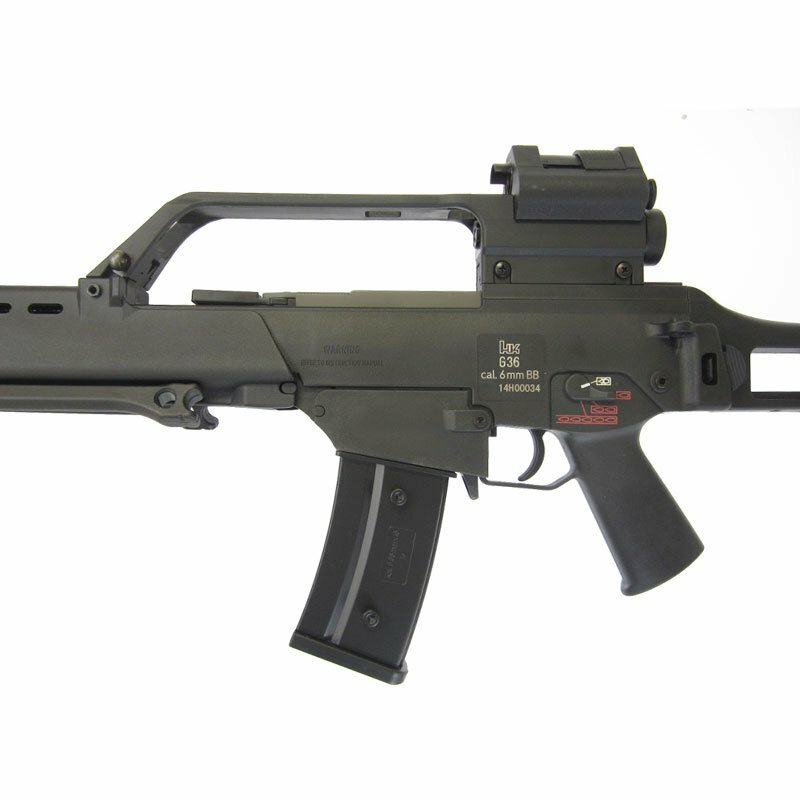 The G36C features a foldable buttstock, a high-capacity 470 round magazine, and a shot velocity of 390-410 FPS. 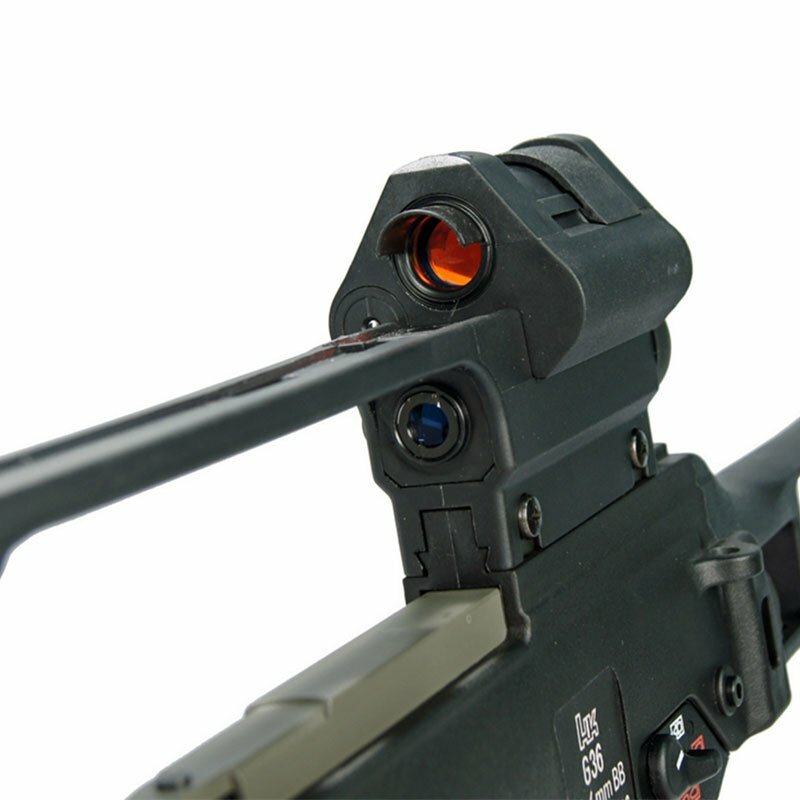 With a complete Mosfet sight system players can stay on target without the addition of after market red dot sights. 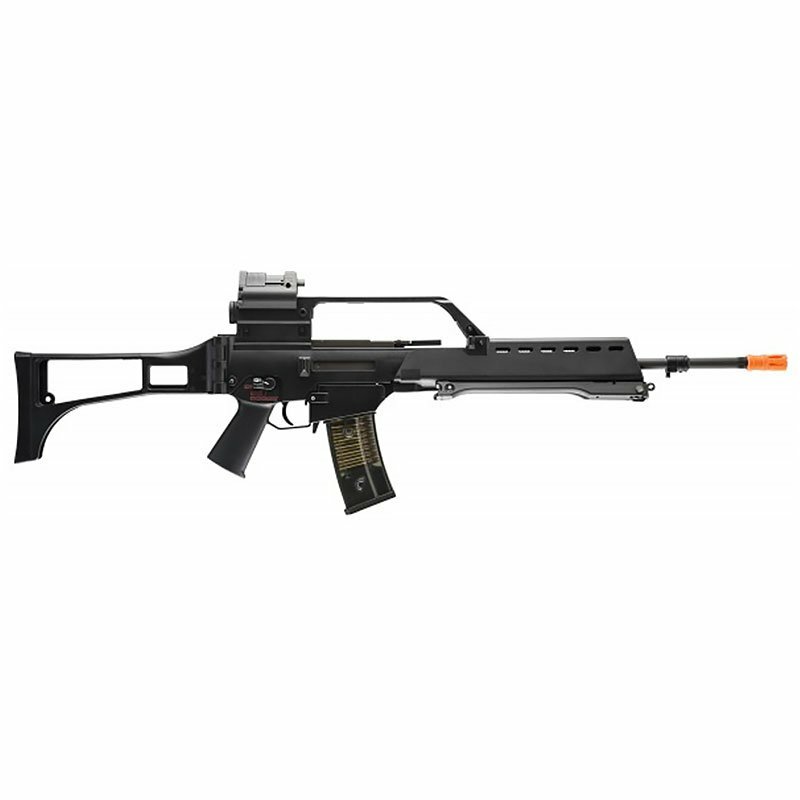 Accuracy won't be a problem with a built in fold away bipod while metal accessory rails and an adjustable hop-up unit adds to the realism. 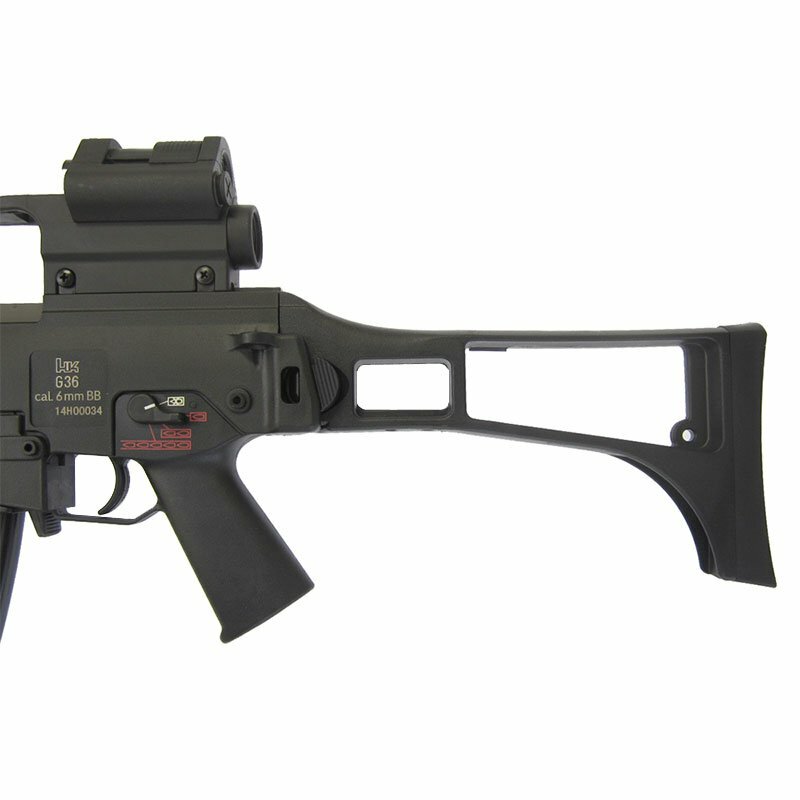 With an ambidextrous design the G36C is excellent for left or right-handed shooters.